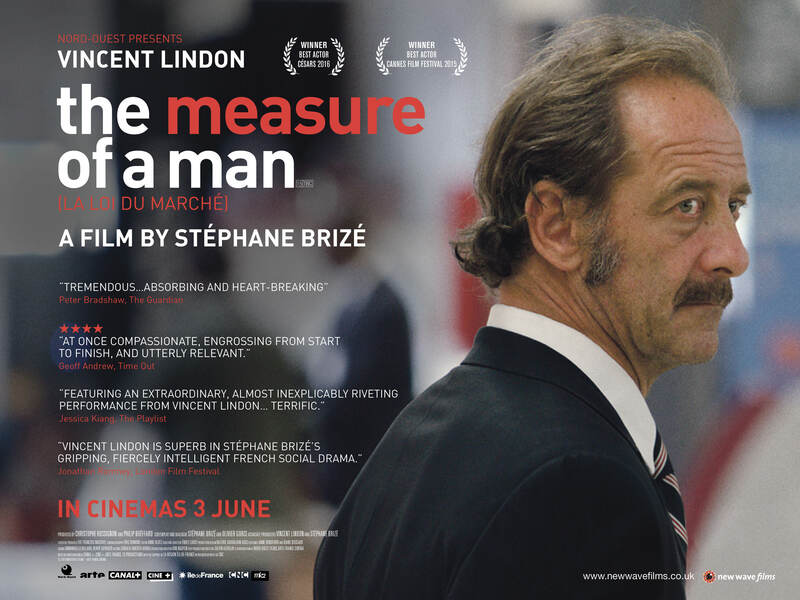 For his role as Thierry, Vincent Lindon, who was the only professional actor in the film, was awarded the Palme for Best Actor at the 2015 Cannes Film Festival, as well as the Cesar for Best Actor in 2016, the French equivalent of the British BAFTA. Stéphane Brizé is a French director and screenwriter. He was born on October 18, 1966 in Rennes. He is known for his feature films Not Here to Be Loved (Je ne suis pas là pour être aimé, 2005), Mademoiselle Chambon (2009) and Quelques heures de printemps (2012). La Loi du marché (Measure of a Man) is his latest film, it was selected in Competition at the Cannes Film Festival. Vincent Lindon won the Best Actor award in Cannes for his outsdanding performance as Thierry as well as the French Cesar for Best Actor in 2016.